My daughter was ready for school to be out this year. She said she was ready for a break. We have been doing a lot of fun things this summer but one thing that is always a constant is that we love to sit down and pop a book open. I did the same thing when my son my little. Sample product was received for review. All opinions stated are my own based on my personal experience. Just because it is summer does not mean we stop learning. We got to practice our reading skills. Books are also good for teaching kids life lessons through the stories. For Benji that one thing is an enormous orange kite. 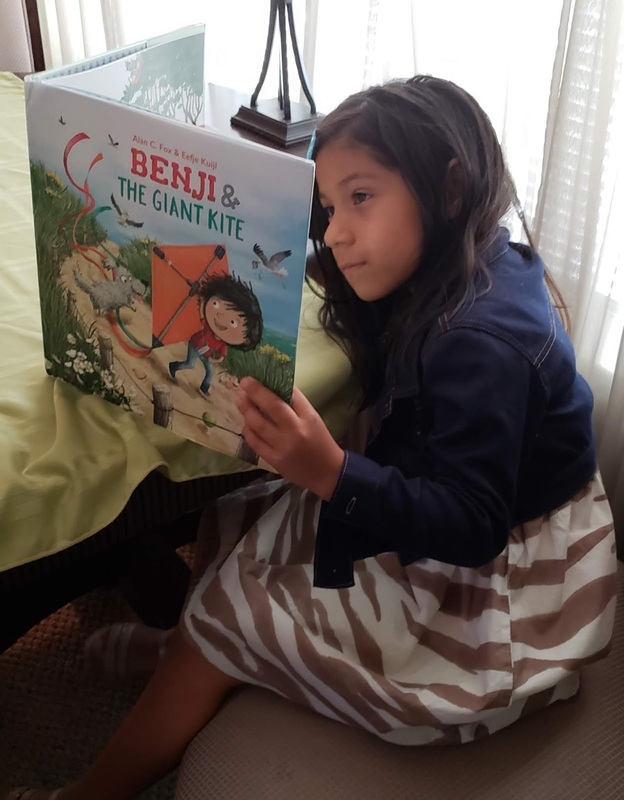 In BENJI AND THE GIANT KITE (Clavis Publishing; August 2018), bestselling author Alan C. Fox tells the enchanting story of a young boy who learns that possessing something is not quite as meaningful as letting it go. Add this book to your summer reading list today. For more information, go visit Alan’s website: alancfox.com.